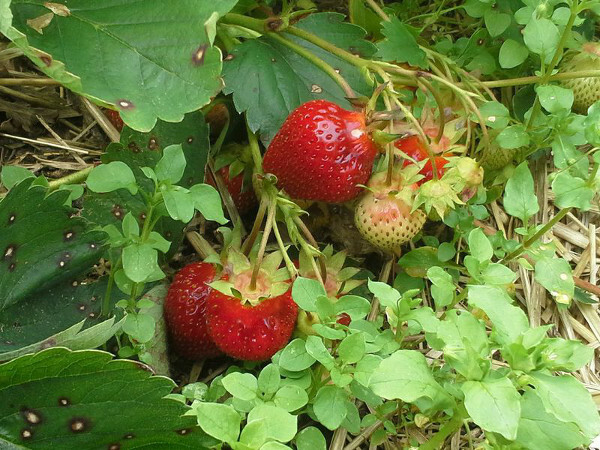 Wisdom from the Farm: What I’ve Learned from the Strawberry Patch, Part 1: Change! About a month ago, my CSA shares for the 2015 season began at the Farm. I like the pick-your-own portion of the farm shares, even though it can be hot and tiring work; it gets me out in Nature and it gives me a chance to slow down and to think. Oftentimes picking in the fields becomes a metaphor for life. And this year in the strawberry patch has been no different. Two weeks ago was the peak of the strawberry season. 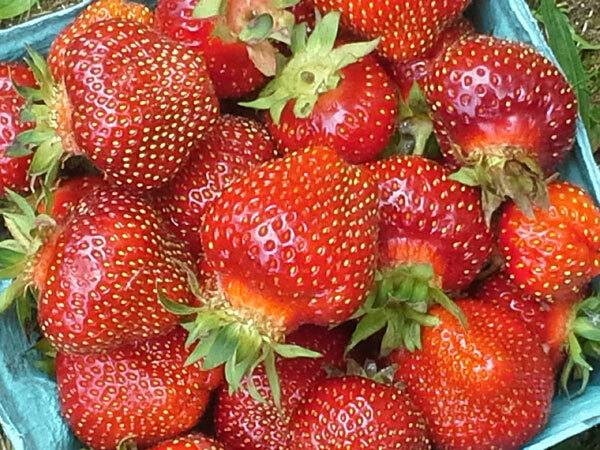 Plenty of juicy red and ripe strawberries were in easy reach and shareholders were able to quickly fill their 4-quart limit. I settled in an area and began picking. It just so happened that several of the strawberry plants had rotten or nibbled berries so I shifted over a few steps. I took my time thoroughly searching through the plants so I didn’t any of the deliciously ripe fruit. But I kept coming across the patch of rotten and nibbled berries! I thought I was moving away from them, but obviously I wasn’t. I kept finding myself rummaging through them looking for the good berries. And there weren’t any! Finally I changed to a completely new area a couple of rows over. This did the trick! I was finally free of those rotten strawberries! When we’re working toward our dreams, how many times do we hit a rough patch and we never really move on? We think we’re changing things up and trying different things but we keep coming back to the rotten stuff. (3) possibly it’s time to move on and away—totally change everything—abandon (for the time being) the course we’re on. Your homework today is to take the next step. And, if you keep running into “rotten” or “nibbled” things then take a step in a totally new and unexpected direction. Do something different; make a radical change. You can do it little bit by little bit. That will still help you work your way out of the tough patch, as long as you consistently take little bits and pieces of steps.